Wondering how to make a Halloween costume on a budget? Don’t let the thought of having to buy a Halloween costume start to stress you out! There’s nothing written down anywhere that states that you have to buy a brand new Halloween costume for your child each and every year. As a matter of fact, some of the coolest costumes out there are the ones that are homemade and on budget. 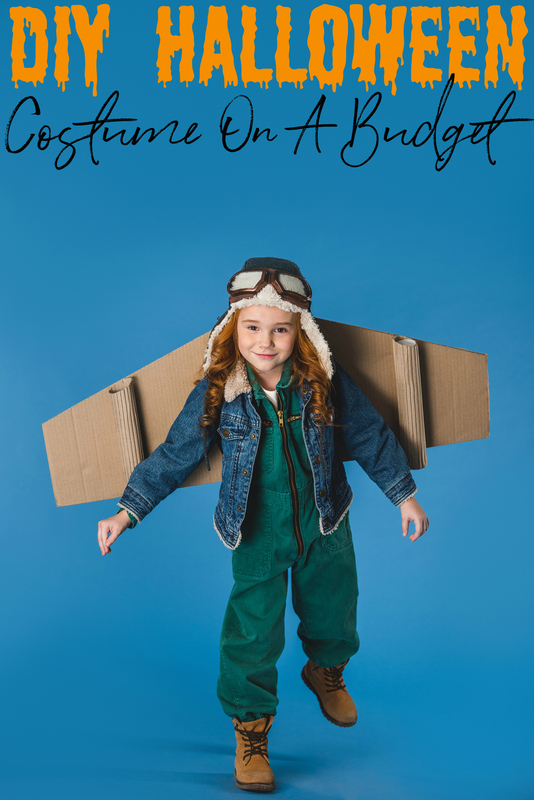 If you like to be creative and save money at the same time, it’s possible for you to make a Halloween costume on a budget that’s perfect for you and your child. 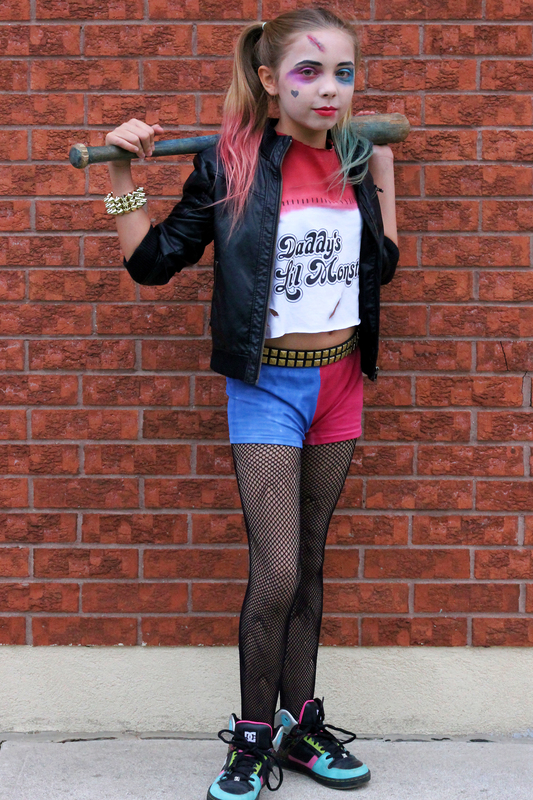 It’s not hard to make your own costume, like Hailee’s Harley Quinn costume I made last year – super easy. If you are looking for a few great ideas, here are some suggestions to help get you started! If you take the time to look around your house, you more than likely have some really cool items to make one an epic Halloween costume. Search in your storage or mix and match clothing items that you have lying around the house. Before you even realize it, you could have an amazing Halloween costume without having to spend a dime! How many other parents do you know that probably just have old costumes and fun clothes just lying around, not being used? If that is the case, host a Halloween costume shop at your house! If everyone were to bring their old clothes and costumes and just swap them out with whatever other people bring as well, there’s a good possibility that everyone attending the Halloween costume swap party would leave with a great costume that literally cost nothing. While you may be creative enough to make a Halloween costume, that doesn’t mean that you don’t have the urge to head to the store and buy whatever items you’re needing. Fight that urge and use items that you have in your home. You can use almost anything to create a super fun and unique Halloween costume. Think of all the money that you’ll be saving! If your child was a kitty cat last year, that’s one of those costumes that can be worn again and made new by just making a few alterations to what it looks like. Add fun cat ears, a longer tail, or even something totally random that makes no sense to make the Halloween costume “new” again. If you or your child has a vision, make it! If you can shop at the end of the Halloween sales in preparation for the next upcoming Halloween holiday, you can snag some pretty great costume ideas for super cheap. While it does take a bit of planning on your part, it’s totally possible to buy everything that you need to create an amazing costume without hardly even putting a dent in your budget. Stores like to clear their shelves when the holiday is over, and often slash prices anywhere from 75% off and more! We love thrift shopping year-round and Halloween is no exception. If all else fails and you need to shop, you can find great gently used costumes for a fraction of the price. Alternatively, you can build a costume using pieces from around the store too! If you are looking for some super simple ways to make a Halloween costume on a budget, try a few of the suggestions above. They’re simple and easy to do, and actually a lot of fun! Challenge yourself to keep those costs low when creating a costume and see how much money you DON’T have to spend by just using and building on what you already have. 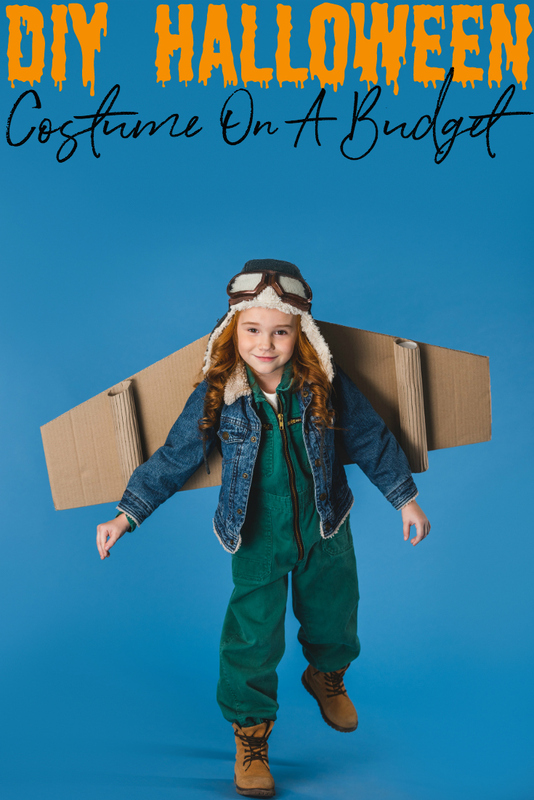 Who knows, your creativity and frugalness may make this the best Halloween yet!